At Sunbather, our Thermal Blankets are a cut above the rest with superior heat retention abilities, longer lasting, and more aesthetically pleasing. 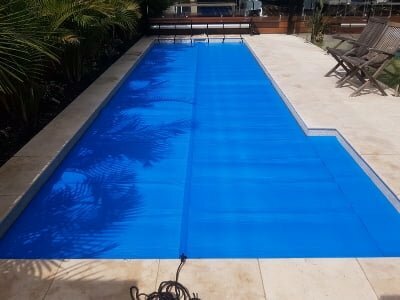 We understand that swimming pool covers are at times considered ugly, and that’s why we manufacture Thermal Blankets, as throwing bubble wrap on your pool just doesn’t cut it. Is your swimming pool heated primarily with a gas heater or heat pump? If it is, then a pool cover is now mandatory. An uncovered heated pool can lose TWICE it’s entire volume of water every year. A Thermal Blanket saves 90% of this water. It is up to twice as effective at retaining your pool heat than alternative covers. Thermal Blankets last longer than other pool covers. They require less maintenance then other pool covers. They don’t need to be covered when in the sun. They keep your pool cleaner as debris and sunlight are kept out of the pool, reducing algae growth. As your pool is warmer and cleaner, less chemicals are required. A Thermal Blanket is made from a high quality multi-layered, foam-based material. It is purpose made for indoor & outdoor pools. 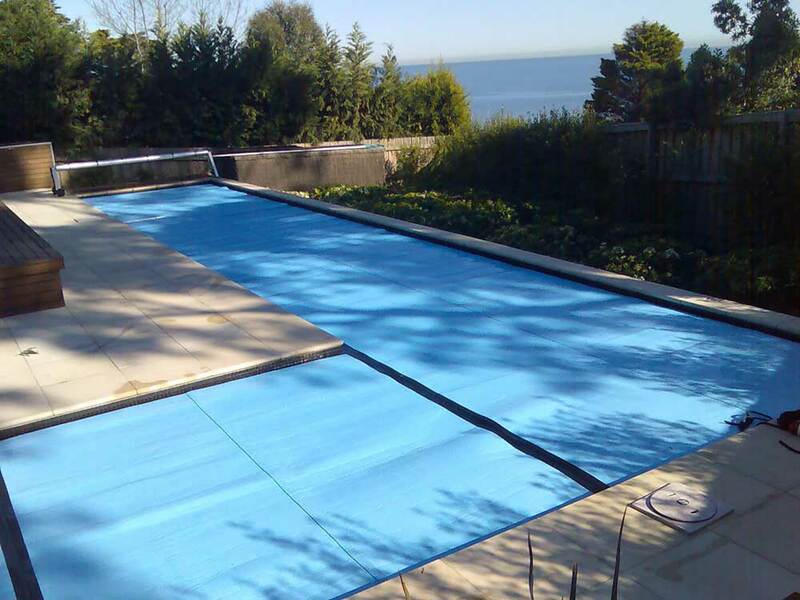 Thermal Blankets are used on Domestic & Commercial Swimming Pools all over Australia. Even the Australian Institute of Sport. It will pay for itself in under 2 years. How much will a thermal pool cover cost me? Due to its superior quality, energy saving abilities, and lifespan, a thermal pool cover costs slightly more than a bubble cover. Prices are are between $24 – 35 per square metre for the cover. Therefore an average 8x4m pool cover would cost around $1000, plus your roller and installation if you elected not to do it yourself. Check out our install guide if you’re the handy type. A Thermal Blanket is expected to last 3 times longer than a bubble cover, without the need to cover when not on the water to retain your warranty. A Thermal Blanket is better suited to strong UV than bubble covers, as the sun doesn’t destroy it when not covered while off the pool. Algae is a plant and requires sunlight to grow. A Thermal Blanket is the only cover which blocks out the sunlight, keeping algae at bay, hence reducing your chemical usage. A pool can lose up to 10 degrees overnight if uncovered. Thermal Blankets have twice the insulating properties of bubble covers and save you $ in heating costs.